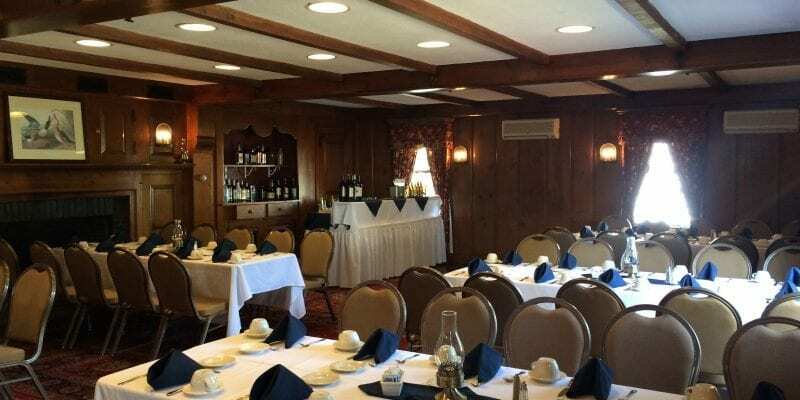 Publick House Historic Inn, Sturbridge, MA can provide the facilities, accommodations, and catering needed to make your special occasion memorable. The charming setting is relaxing, yet close in proximity to the bustling cities of Boston, Springfield, Hartford, and Providence, making the location a central meeting place for your guests to gather together. From family reunions and baby showers, to Bat Mitzvahs and the wedding of your dreams, our professional event planners will help you pick the perfect room based on the type of event you are hosting and the number of people who will be attending. Seasonal outdoor events can also be held under the beautiful tent. Our events are remembered for the good old-fashioned home-cooked food and the perfect ambiance. From our famous pecan sweet rolls to our hearty Yankee dinners and our specialty cakes made with real buttercream frosting, for an event filled with delicious food and sure to please accommodations, come to the Publick House. With 100 guest rooms, two historic dining rooms, an old-fashioned bakery and Yankee gift shop, Publick House Historic Inn is the ideal venue to host your special occasion or weekend getaway. Please contact our Meeting and Banquet Advisors at 508-347-7323 ext 281 for information and pricing about your Social Event. We’re ready to help you begin planning today!